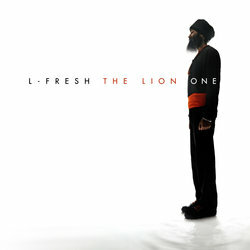 L-FRESH The LION is a bright light in Australia’s music scene. Fellow artists and those in the music industry admire his impressive list of achievements. Since 2009, he has toured nationally with Hip Hop legends Nas, Chali 2na (Jurassic 5), DJ Qbert, MC Supernatural, Talib Kweli and Dead Prez. Locally, he has shared stages with Horrorshow, The Herd, Hermitude, Urthboy and many more. His sound is uplifting and universally accessible, inspired by the conscious, soulful Hip Hop movement in the U.S. in the late 1990s and early 2000s. Combine that with his love and respect for his cultural and ancestral roots of the Sikhs from Panjab, India, and you have an individual like no other in the music scene. At present, he is an ambassador for All Together Now, Australia’s only national charity that exists solely to address racism. He is also the founder of the Power To The Peaceful Community, a clothing label and online community that exists to encourage everlasting and meaningful dialogue around peace and peaceful relationships. The LION has achieved all of this without the commercial release of an album. He is set to release his debut album (titled “One”) this year. Survive follows the success of debut single: One, which received solid rotation on triple j and was one of the most added songs to radio nationally. It pays respect to his cultural roots. The song is uplifting, driven by a piano line reminiscent of 2Pac's classic record: Changes.